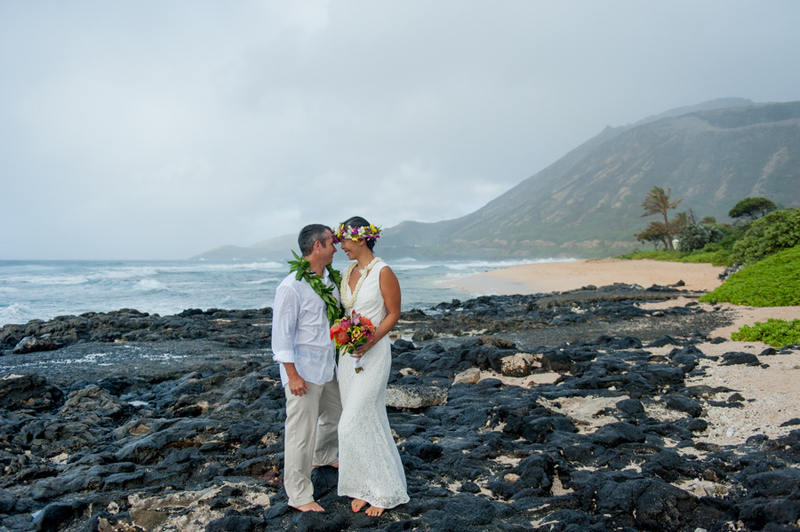 Did you look through the Sandy Beach sunrise wedding photos yet? 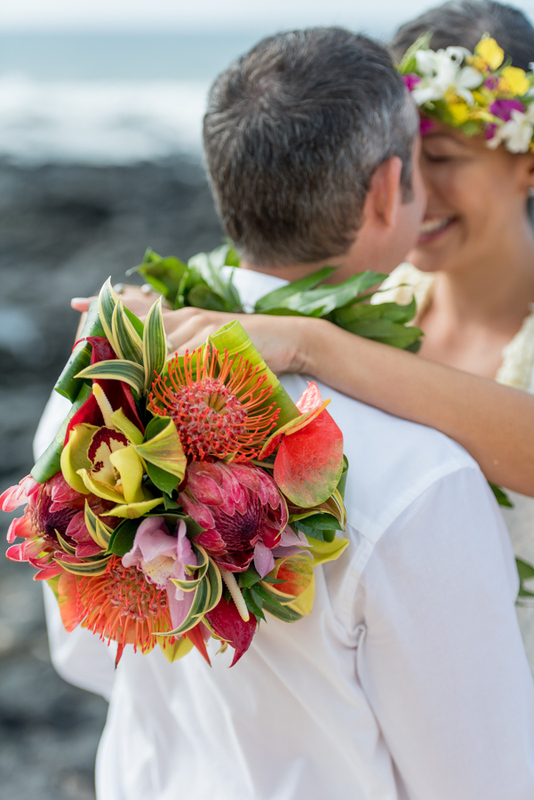 Aren’t they just super gorgeous, fun and filled with love? 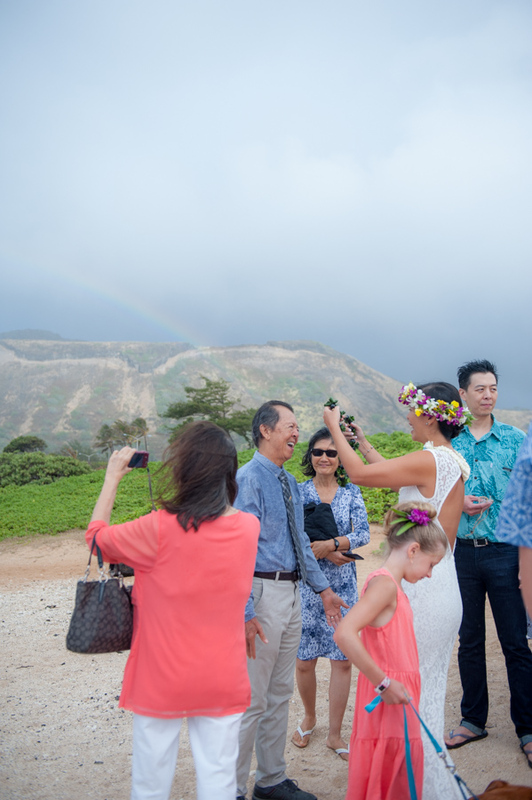 Spoiler alert: there is a rainbow. 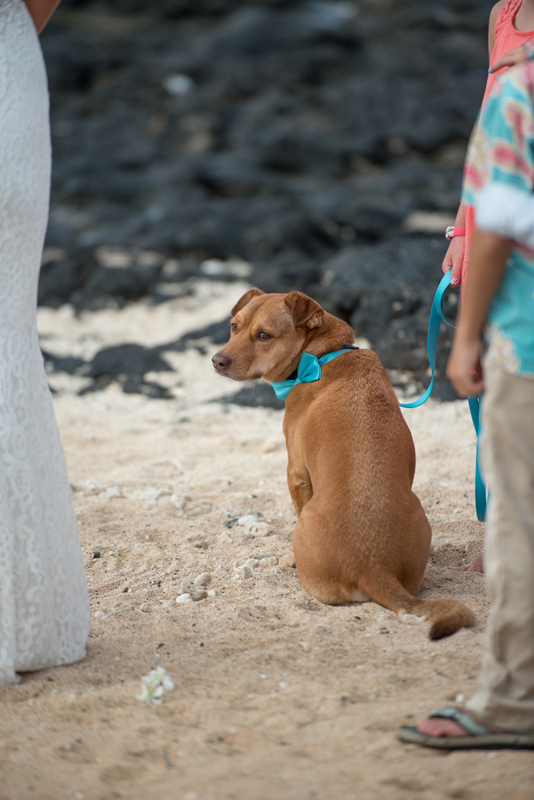 and there are dogs. 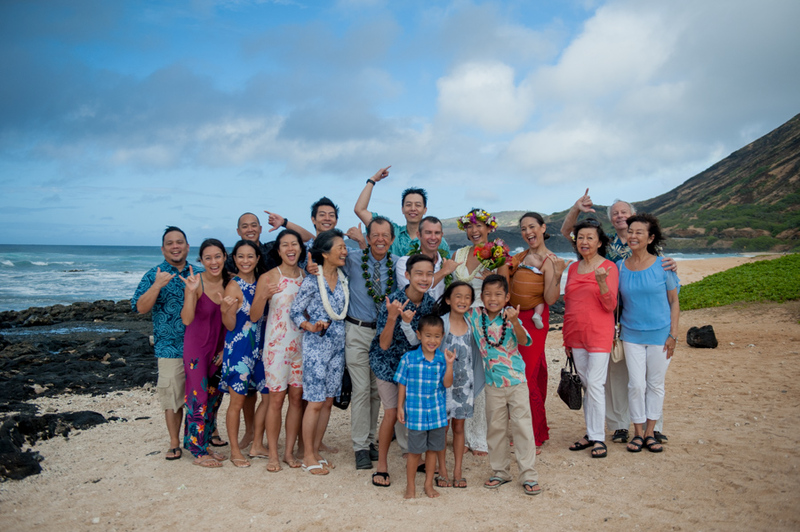 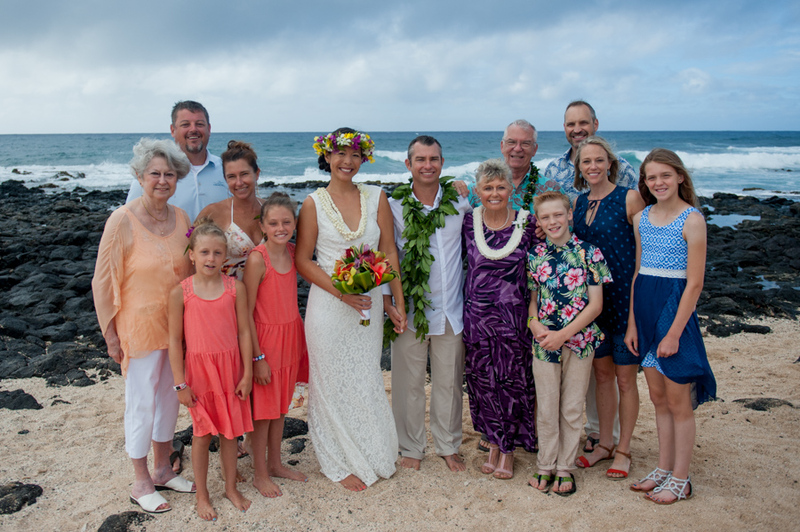 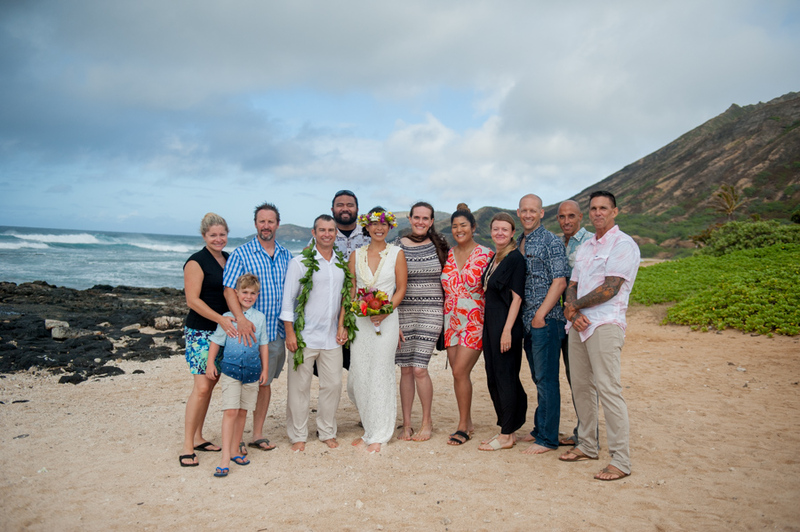 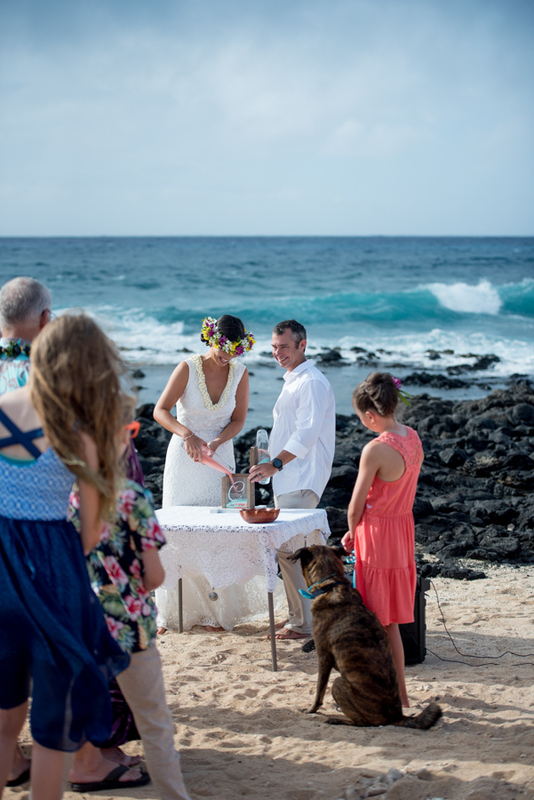 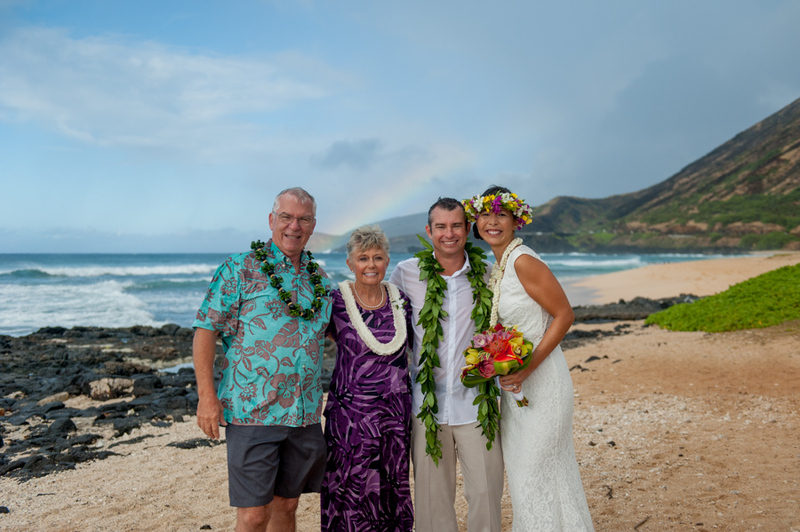 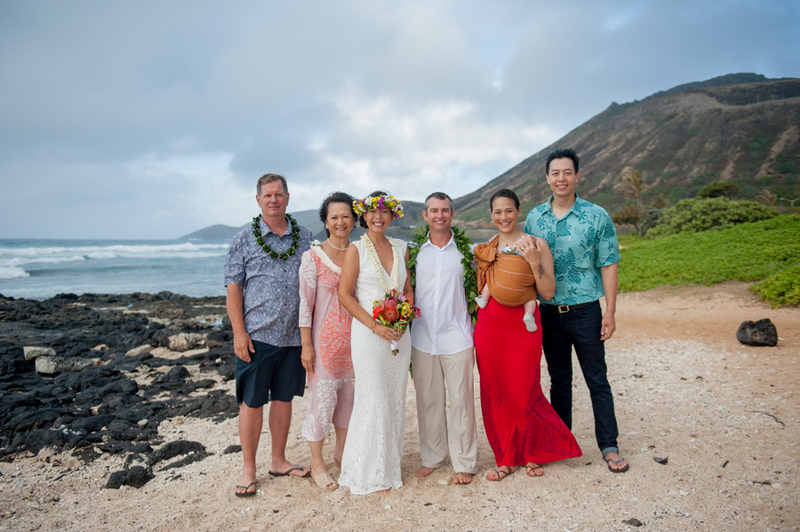 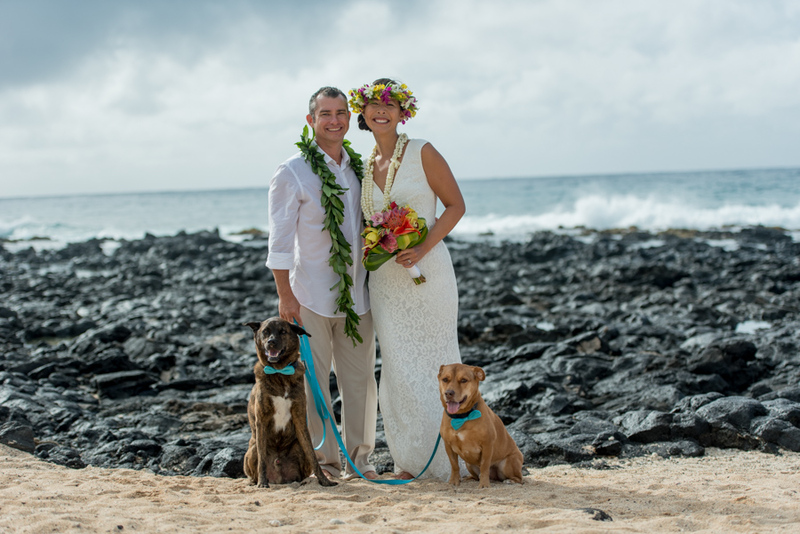 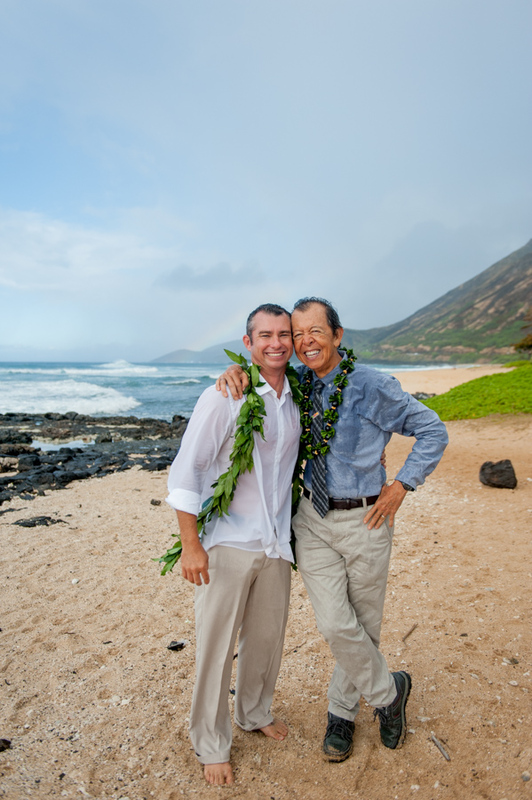 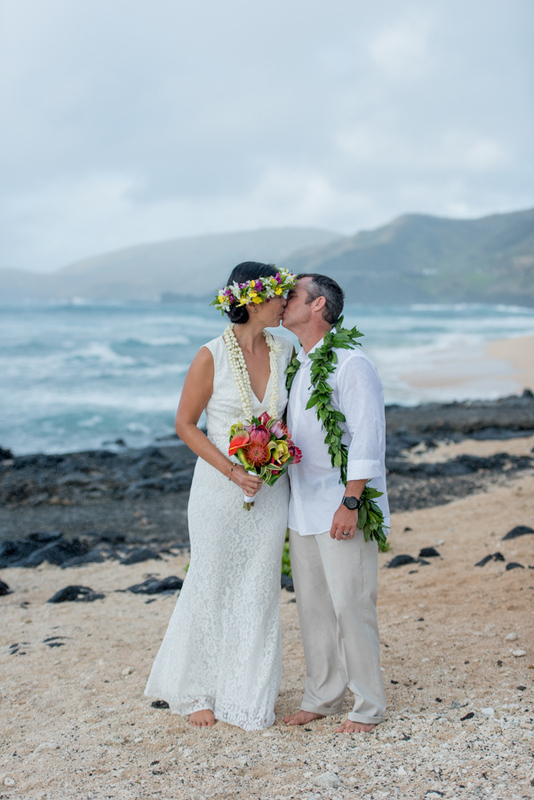 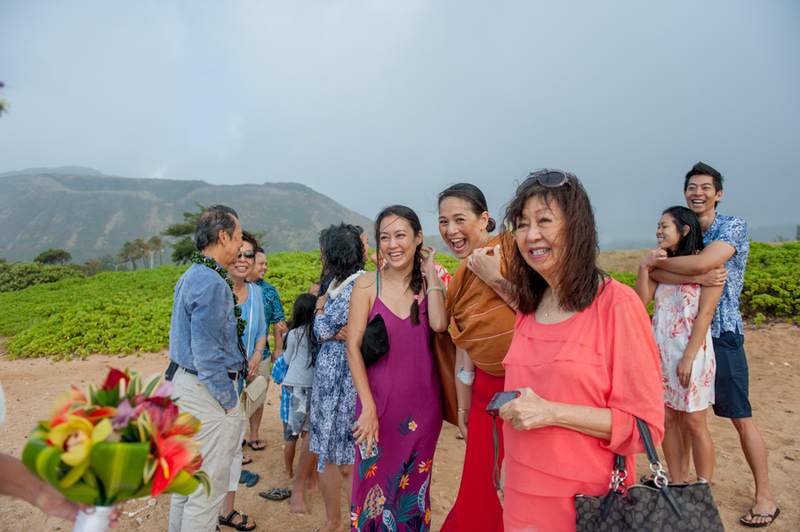 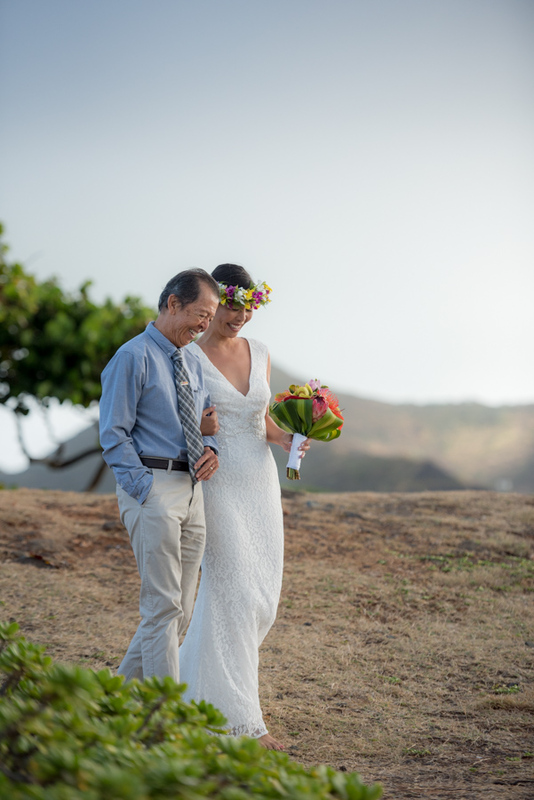 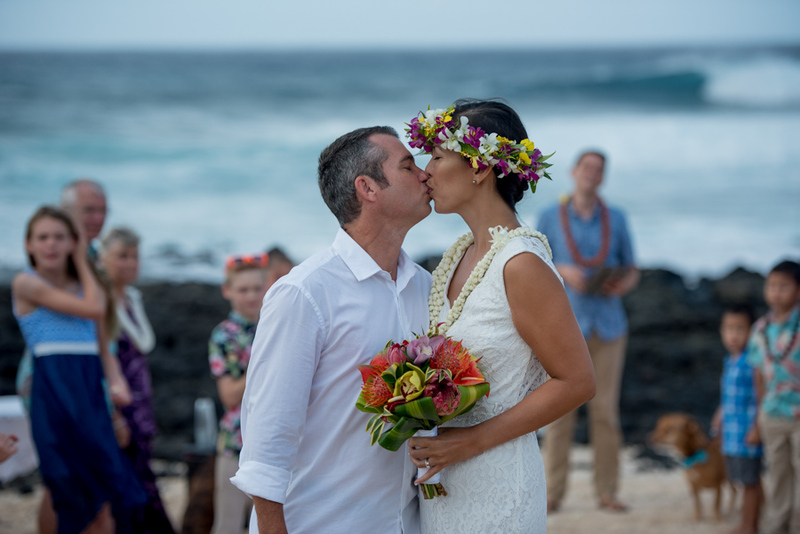 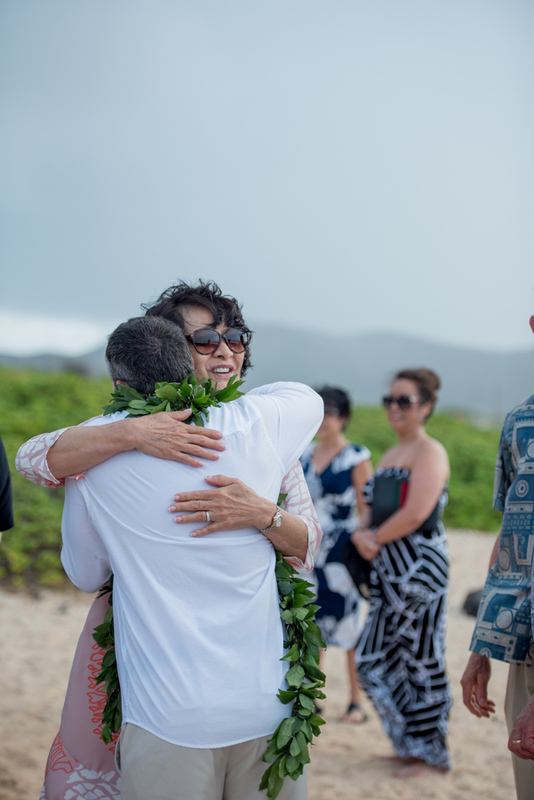 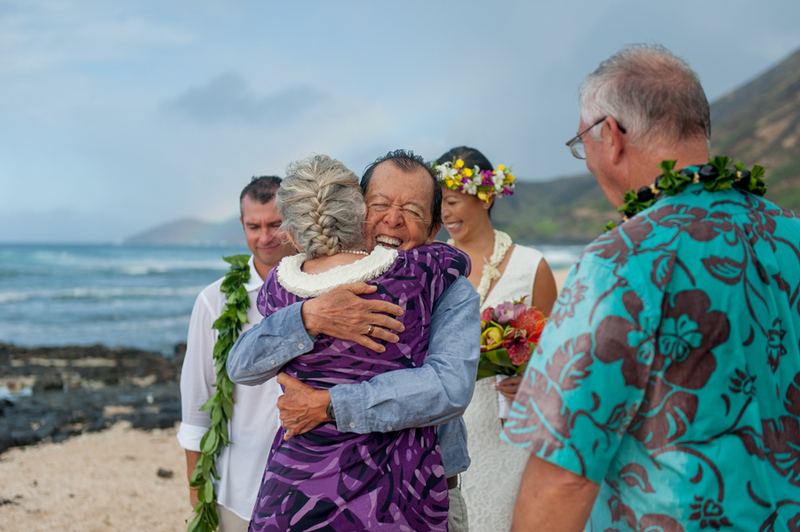 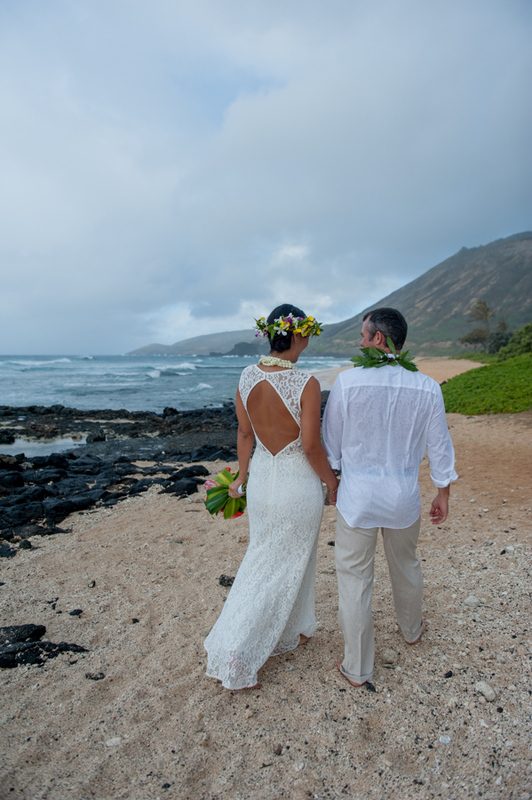 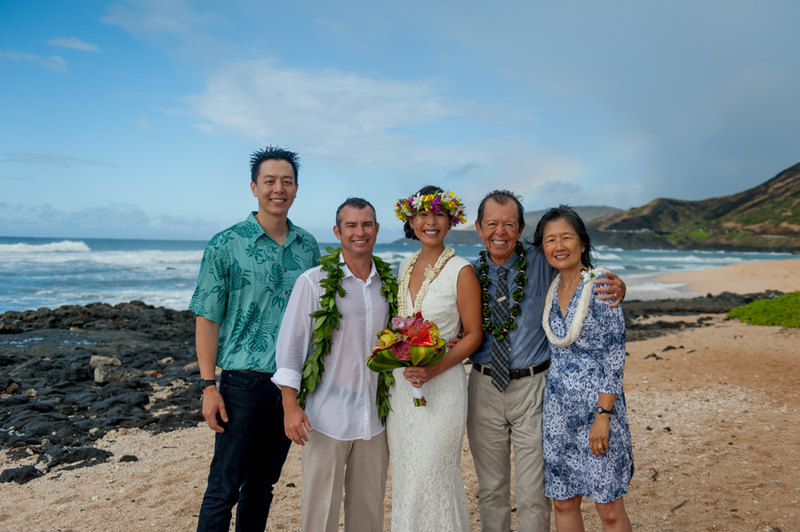 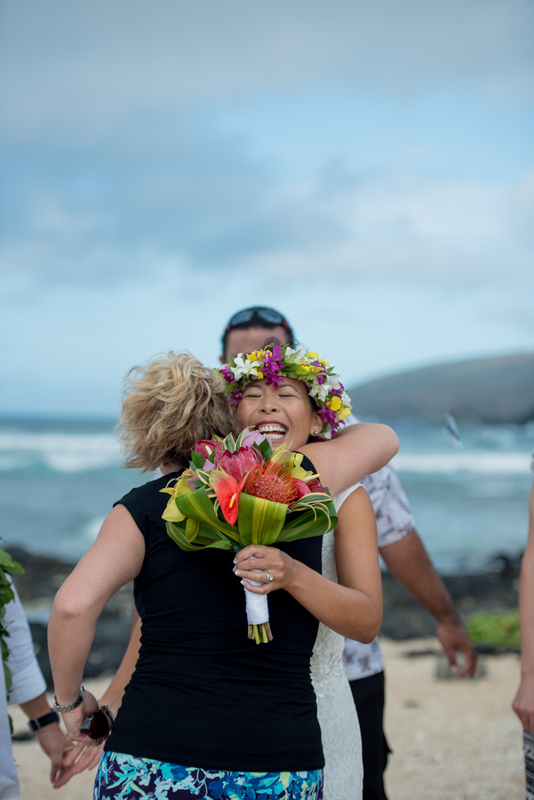 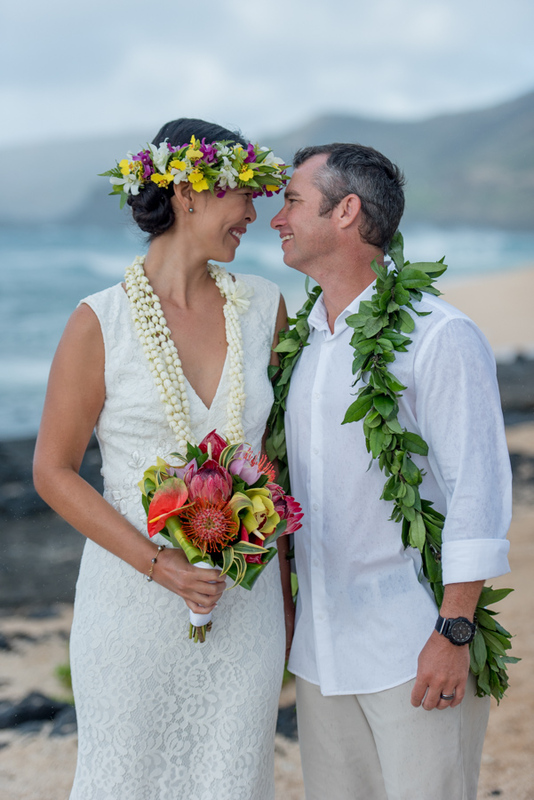 This was a favorite beach wedding of mine – and more and more- i really enjoy the small, intimate hawaii weddings. 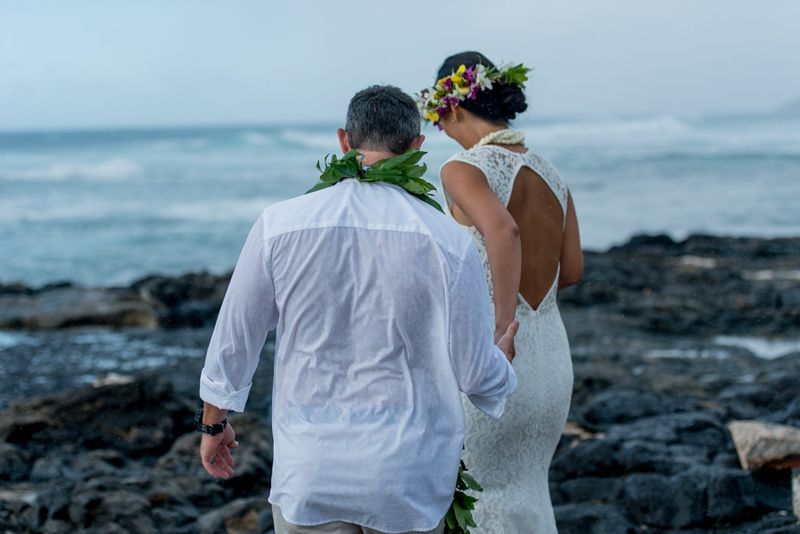 People tend to get a little more sillier and are more serious about the weight of the vows being said and know that the small numbers of family and guests do not take away the magnitude of the ‘I do’s’. 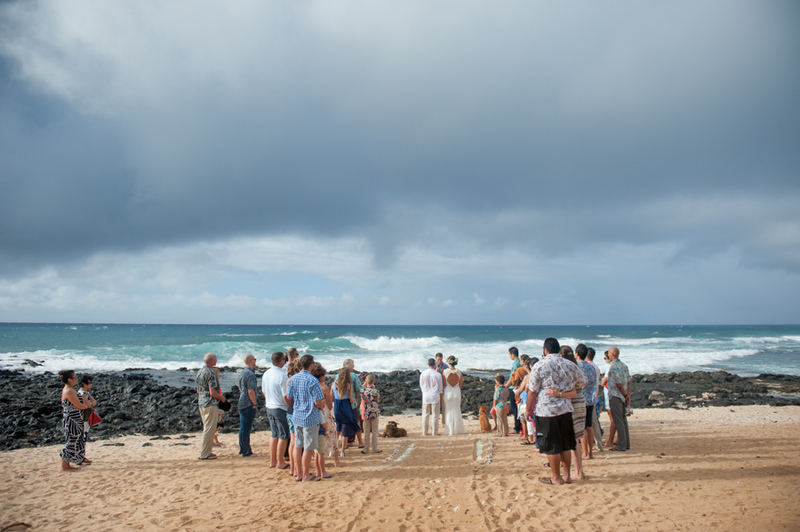 Sunrise weddings at Sandy Beach are my favorite. 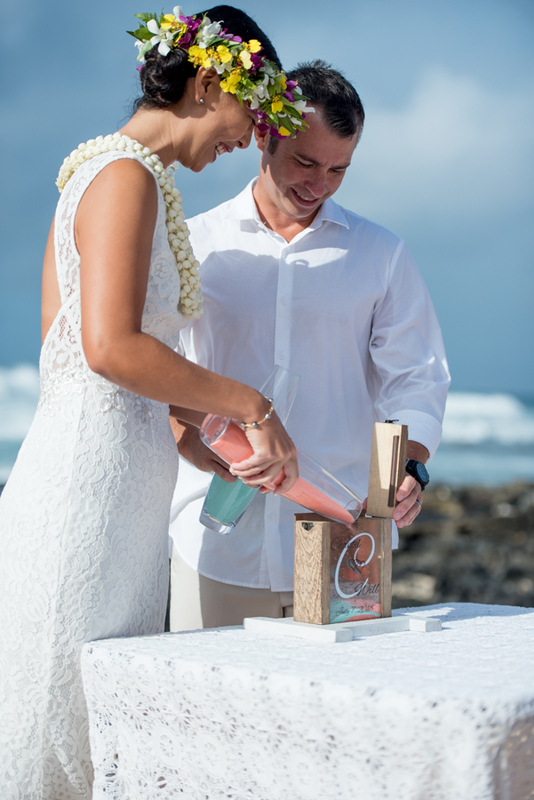 C+W are so cute. 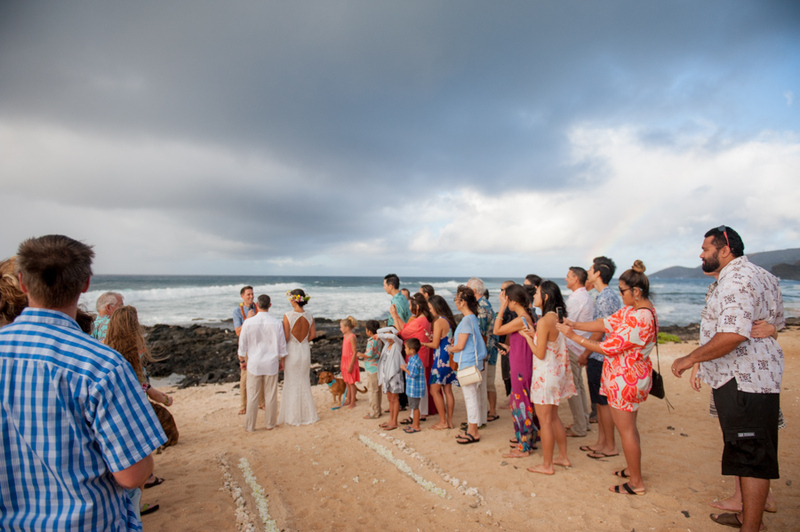 They were blessed with a beautiful rainbow which encircled them and their family and friends. 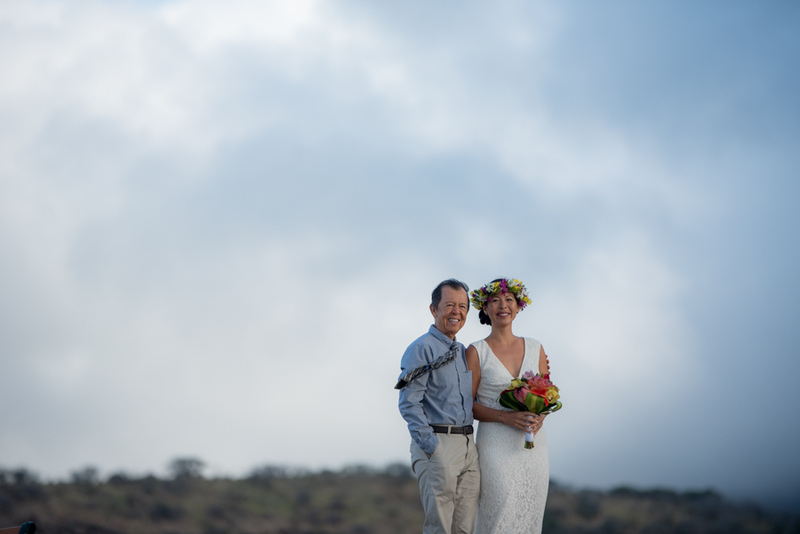 A little bit of rain never hurt anyone! 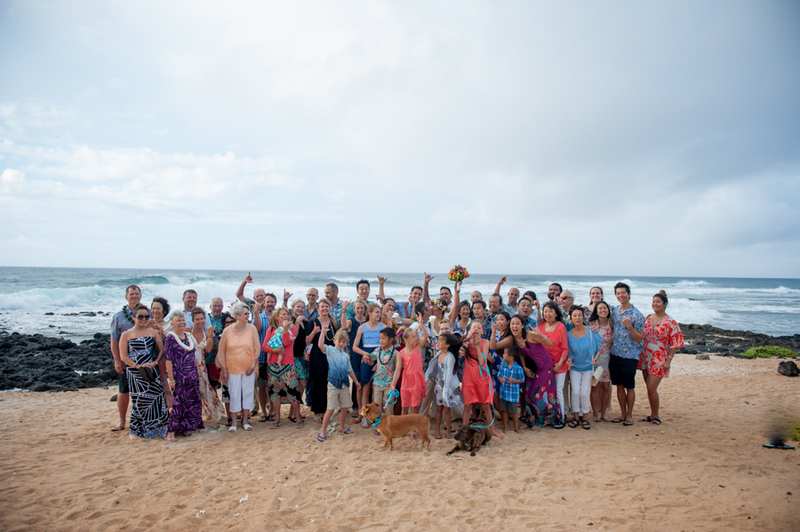 Well, it does mess up the family photos a tiny bit… but they all had a great time and some fun photos of the day to save. 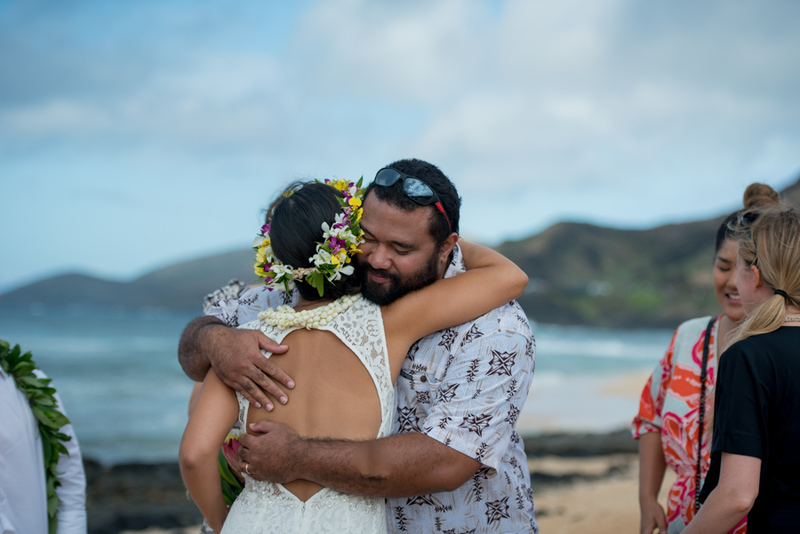 If you scroll through the blog a couple of pages, you will find their Maunalua bay engagement session. 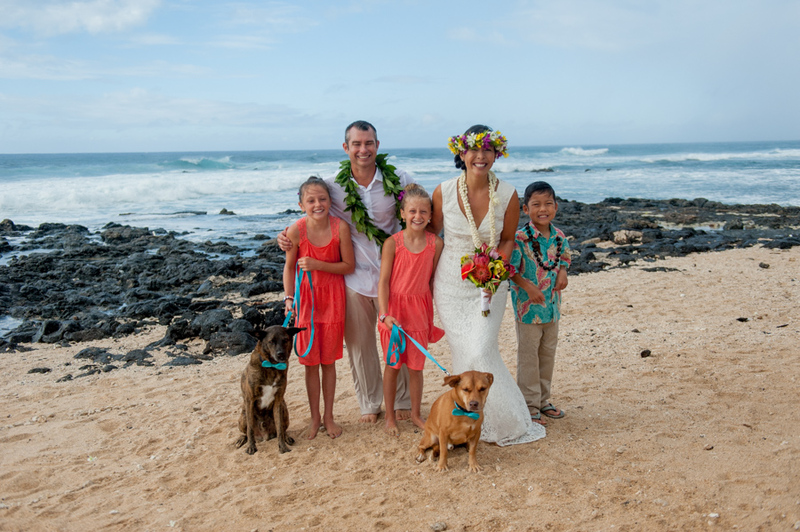 with the dogs….